It's been clear since approximately 2001 that Kelly Clarkson is a lady with an impressive set of pipes. She may not have reached Beyonce-level iconicity in the years since she won American Idol, but she's always had that voice in her — and she's always wielded that voice best in live performances. Which is why I'm so pleased that the Internet seems to be finding such joy in Kelly Clarkson's Tracy Chapman "Give Me One Reason" cover. Because Clarkson may be widely regarded as just another pop act, but her live performances often bring out that genre-crossing, soulful, rock star voice she's got. That was evident in her cover of Chapman's song, and it's been evident over the years in so many other live performances she's given. The genre-defying magic of Clarkson's live performances have been showcased previously thanks to her penchant for performing covers on tour — you can find a list of some of my personal favorite Clarkson covers here. But it's important to note that this talent is on display even when she's performing her own songs: "Walk Away" may play like a classic pop tune on the radio, but performed live her voice is more gravelly, more urgent — and way more rock. "Behind These Hazel Eyes" is a classic pop ballad, but performed acoustic she brings even more soul to it. The bottom line here is to never underestimate Kelly Clarkson. Here are some of the best performances to demonstrate why. First, here's that recent cover of Chapman's "Give Me One Reason"
That is a straight-up rock voice right there, no doubt about it. There's just something really beautifully frayed about it. You can really feel the emotion behind the song in this one. Very early on in her music career, proving what she's got. " 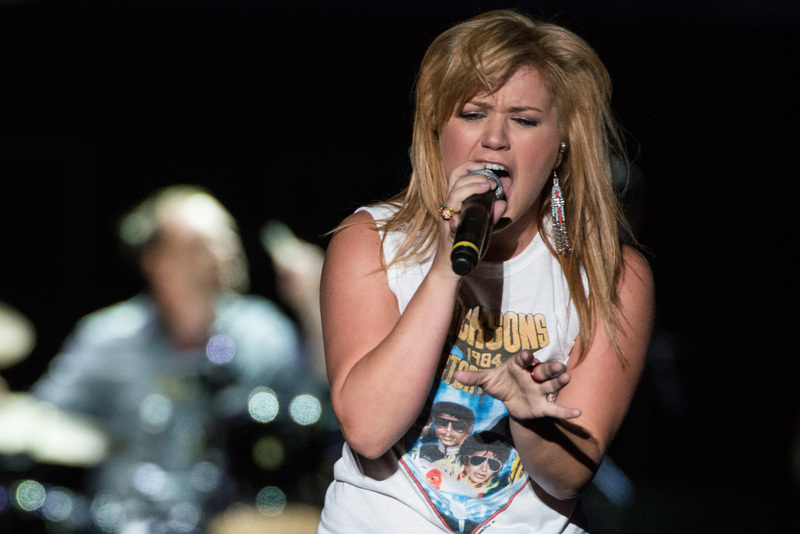 Mumford & Sons' "I Will Wait"
Can...can they add Kelly Clarkson to Mumford & Sons? Mumford & Kelly & Sons? No doubt about it (get it? get it?? ), this lady can sing.